Trump's call for recognition of Israeli sovereignty over the occupied Golan Heights, a part of Syria, is intended to help his and his donors' ally Binyamin Netanyahu win the Israeli elections. The United Nations Charter of 1945 forbids countries to add their neighbors' territory to themselves through military aggression. This principle was put forward in reaction against the horrors of the Nazi regime. Russian President Vladimir Putin is delighted at Trump's move, since it cuts off at the knees US objections to the Russian annexation of Crimea from the Ukraine (and at least Russia had Crimea until 1954; Israel never had the Golan). Moreover, it has implications for Russia's return as a Middle East power. The Syrian regime is already grateful to Putin's Russia for its military intervention to defeat the rebels. Now, Damascus will view its close relationship with Moscow as the only hope of recovering lost territory. No state is willing to lose territory, and a weak Syria knows it cannot fight this development alone. Turkey, a US NATO ally, is jumping up and down mad about this Trump move, which will reinforce Turkey's increasingly warm relations with Moscow and with Tehran. Most of the world is siding with Syria against Trump's United States, including most NATO allies. 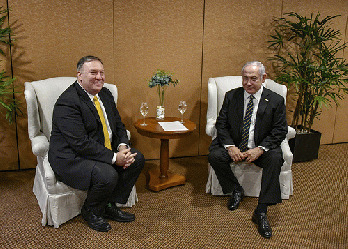 Countries in the region that the US is wooing in an attempt to distance them from Iran, such as Iraq, will tilt even harder to Iran, since no one wants an ally that gives pieces of other countries away for its own peculiar reasons. In contrast, most Iraqis feel that they could not have fought off the ISIL challenge without Iran's help that is, Iran helped guarantee Iraq's territorial integrity.